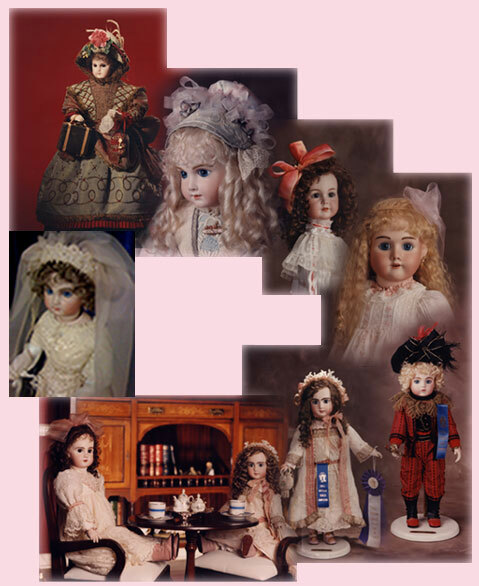 We have been creating Antique Reproduction Dolls for almost 30 years. The French Doll Companies of Bru, A. Thuiller, A. Marque, Jumeau and Steiner are of particular interest to us. Several of our dolls have been featured in and on the covers of Gildebrief and Dollcrafter magazines.